ARSAT-1 is an Argentine comsat project and is slated to enter service in 2012, and will be positioned at 71.8 degrees West. It will provide data, telephone, and television transmission services for Argentina, Chile, Uruguay, Paraguay, and Bolivia. Weighing about 2.9 tons at launch, it will offer a design life of 15 years. The payload will be fitted with twelve 36 MHz, eight 54 MHz and four 72 MHz transponders, all in Ku-band and will use 3.5 kW of power. INVAP is the prime contractor for this Project launched by the recently created company, AR-SAT SA. INVAP is responsible for the managing aspects of the project, the engineering development in all its phases, the fabrication and integration of the components (with the exception of the transponders, which will be commercial), and quality assurance. 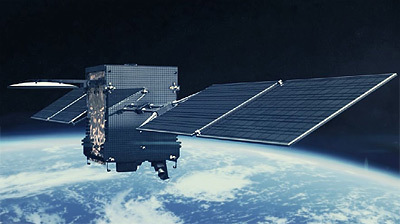 Thales Alenia Space has signed a contract with Argentina's ARSAT to supply the payload for the ARSAT-1 satellite, as part of the SSGAT (Sistema Satelital Geoestacionario Argentino de Telecomunicaciones) program to manufacture the first Argentine geostationary telecom satellite.